The statue was made by the Hungarian sculptor Ivan Paulikovics. 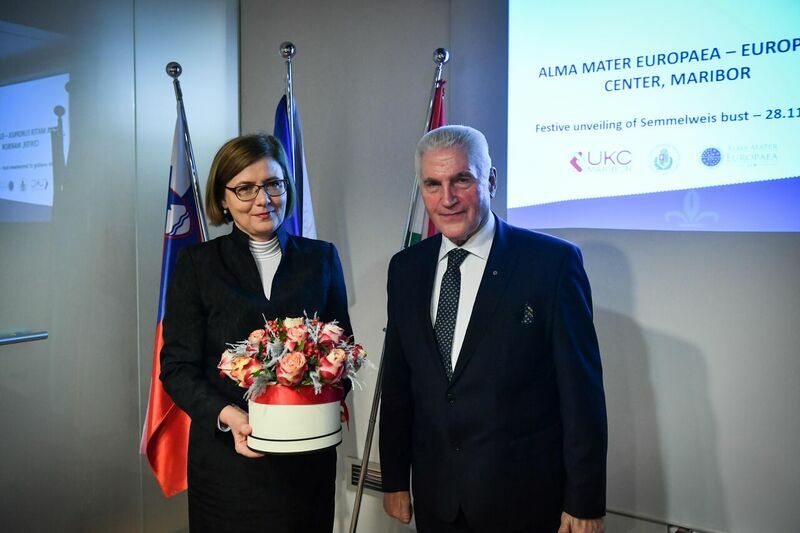 Alma Mater agreed with the University Medical Center (UKC) Maribor to position it in front of the clinic, as UKC is the most important clinical base for students of medicine and medical sciences in Maribor. 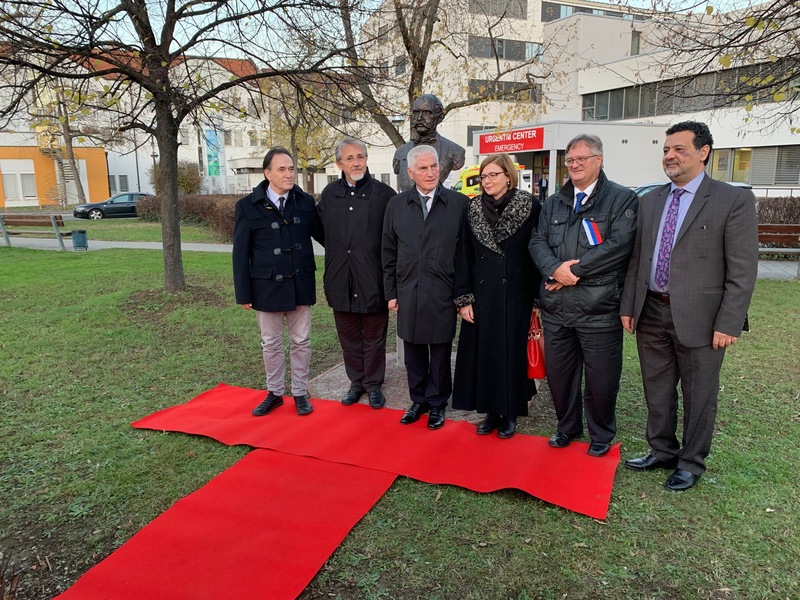 Among participants of today's inauguration of the statue were also former Rector of the Semmelweis University and current President of the Semmelweis Commemorative Commission in Hungary, Prof. dr. Laszlo Rosivall, the Hungarian Ambassador to Slovenia, H.E. Edit Szilagyine Batorfi and a representative from the Hungarian Ministry of Human Capacities, Mr. Arpad Meszaros. Cutting the ribbon ceremony was performed by prof. dr. Vojko Flis, director of UKC Maribor, prof. dr. Laszlo Rosivall from Semmelweis University, Mr. Arpad Meszaros (Deputy State Secretary at the Ministry of Human Capacity, Hungary) and prof. dr. Ludvik Toplak (president of AMEU ECM). Among the speakers was also representative of the Slovene Government, Ministry of Health, Mrs. Klavdija Kobal Štraus, who is the director of the directorate for long-term care. Ignaz Semmelweis was born on July 1, 1818 in Budapest and died on August 13, 1865 in Vienna. He is known as the pioneer of antiseptic methods in obstetrics, with which he managed to drastically reduce the incidence of infections and hence the mortality of women in clinics, two decades before Louis Pasteur published his theory of microorganisms that cause infections. Dr. Semmelweis, Hungarian of Jewish descent, was the head of the central gynecological clinic in Vienna in the middle of the 19th century. "According to his contribution in the field of disinfection and hygiene, his work is regarded as the work of one of the most important medical doctors and humanists in medicine in Central Europe," said prof. dr. Ludvik Toplak from Alma Mater. In 2018, Hungary is celebrating 200 years from the birth of dr. Ignaz Semmelweis, so the Hungarian government proclaimed the year 2018 to be the year of Ignaz Semmelweis. 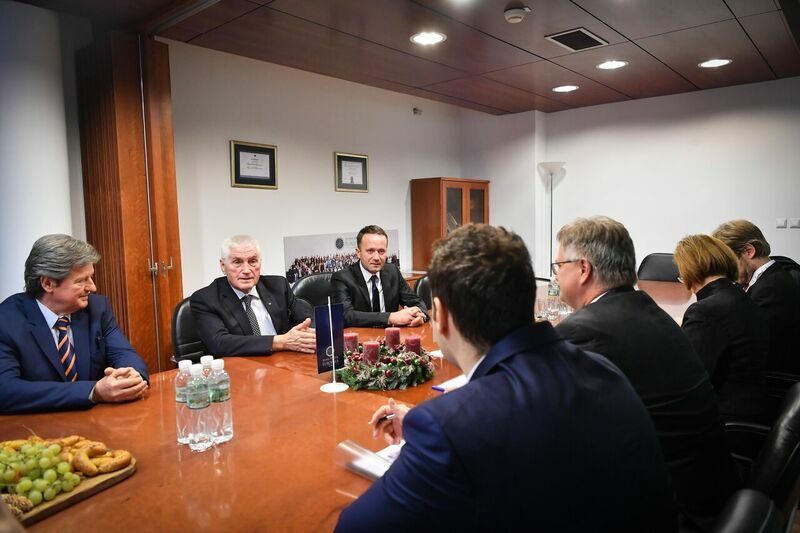 The government therefore mandated Semmelweis University and its former rector Laszlo Rosivall to lead and organize academic activities with partner universities of neighbouring countries and the entire Central Europe. 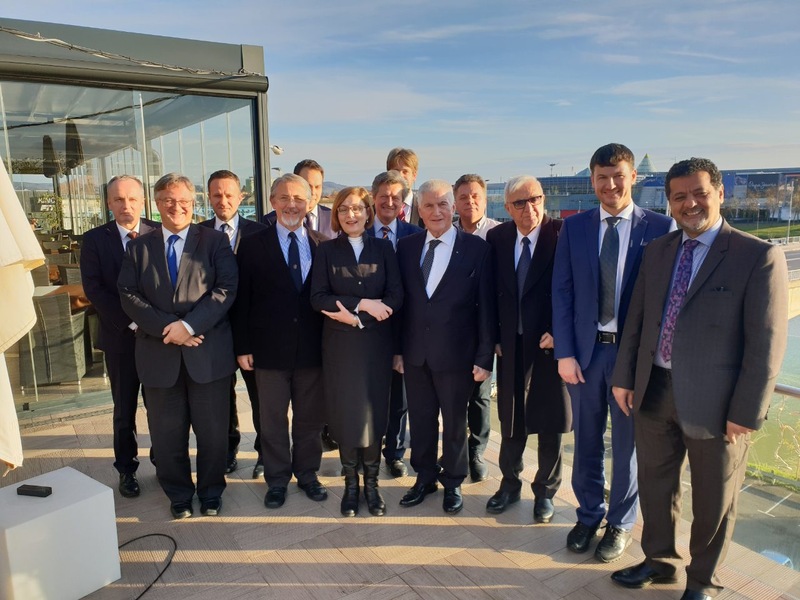 "Alma Mater Europaea - ECM, together with Semmelweis University, organized a scientific conference dedicated to Ignaz Semmelweis in March 2018. 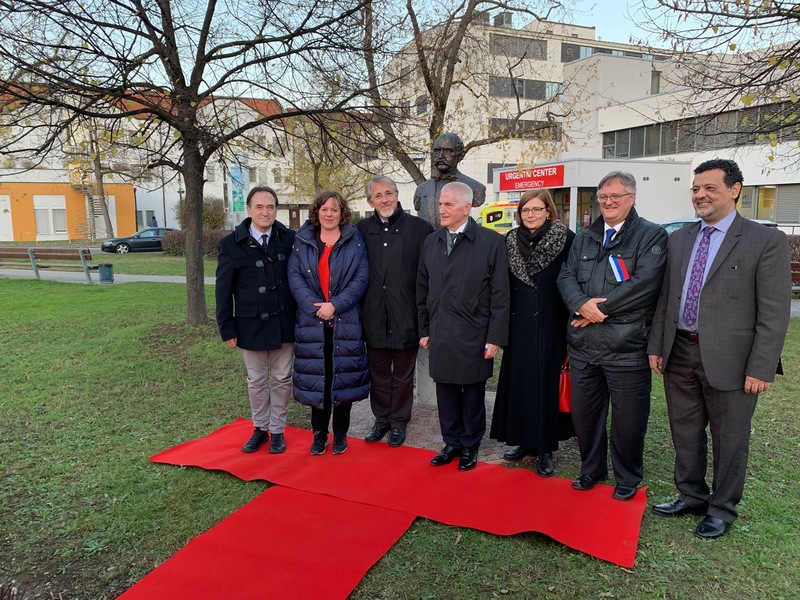 On this occasion, Semmelweis University donated a bust of dr. Semmelweis, which Alma Mater handed over to UKC Maribor, the central training institution for our students. Similar busts were also donated to other partner universities, such as Medical University in Vienna, Charles University in Prague, etc., "said Toplak. Semmelweis University is a key partner in development of health programmes within the European Academy of Sciences and Arts Salzburg. It is also a very important partner of Alma Mater Europaea in development of health and social gerontology programmes in Slovenia and abroad.